Iron Jean-Paul: Superman, You're My Only Hope! Superman, You're My Only Hope! As I sit at home this Wednesday evening reviewing the booty of comic books I purchased today during my weekly "New Comics Wednesday" excursion to the local comic shop, I am reminded of a previous post in which I lamented the impending "twilight of my super hero comic book collection." The titles I have before me are pulp (Dynamite's Masks) or horror (Image's Revival) with nary a superhero in sight. In fact the closest I come is DC's declining All-Star Western featuring another in a spate of Booster Gold guest shots and Dark Horse's most recent Lobster Johnson one-shot which is decidedly more pulpy that super hero-y. Then there's a newly released issue of the only "real" super hero comic book I even purchase at all anymore, Batman Incorporated. 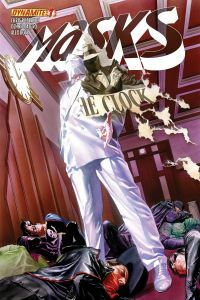 Even this title, the most recent issue of which is a mediocre fill-in, is soon drawing to an official close (and honestly since SPOILER Damien's death END SPOILER my interest has wained) once Morrison wraps up loose end with a series concluding one-shot. While there has been much recent news regarding DC Comics and creative differences with creators--further weakening any faith one might have in an overall DC turnaround in the aftermath of the diminishing returns of the New 52 (I personally started the New 52 collecting ten titles and am now down to the one Bat-title and All-Star Western), there are a few things that offer hope. But I have been fooled many times before. Not too long ago, on the heels of the wonderful All-Star Superman, Grant Morrison was given the reigns of Action Comics to usher the Man of Steel into the New 52. Years (decades?) ago I was an avid Superman fan purchasing all four titles being published weekly at the time with little numbered continuity diamond on the cover, so I was am ready to be won over. But Action Comics written by Morrison failed to capture the imagination and eventually my dollars. Now he, too, is departing the mainstream DC New 52 Universe for Multiverses as yet unknown. One thing the New 52 reboot did do well is lay the zeitgeist groundwork, in a small way, for the new movie Man of Steel (2013) directed by Zach Snyder. 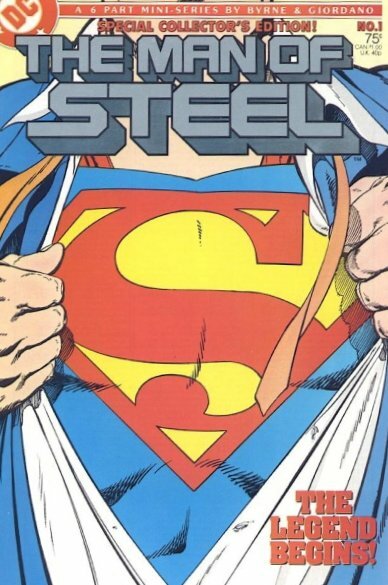 After John Byrne's The Man of Steel miniseries in 1986, that re-booted Superman's origin so successfully, the same trick has been tried often with less success. Even the New 52 is offering a reboot of sorts by putting another of there top remaining writers, Scott Snyder, on the case. Snyder took over one corner of the Batman corner of the DC Universe for Morrison very effectively and DC (and fans) hope he has another entertaining angle left to reinvigorate the Superman franchise. While quality comic books in the wake of successful films is never an assurance, I still have a touch of confidence that the combination of Snyder's (along with mega artist Jim Lee) Superman Unchained title and Man of Steel will result in published products worthy of the financial investment of collecting.